MacGregor Campbell wrote:Mathematics Illuminated is a 13-part, integrated-media resource created for adult learners and high school teachers. The series covers the broad scope of human knowledge through the study of mathematics and its relevance in the world today. It reaches beyond formulas and computations to explore the math of patterns, symmetry, relationships, multiple dimensions, and more, all the while uncovering the secrets and hidden delights of the ever-evolving world of mathematics. Mathematics Illuminated unites the strengths of traditional and new media learning through the coordinated 13 half-hour videos, online texts, web interactive activities, and group activities. Developed with an Advisory Board of leading scholars and high school teachers from across the United States, the course examines mathematics from a holistic perspective, offering an enthusiastic approach that will help learners understand the broad spectrum of disciplines that make up the field of mathematics. The information and activities will help all learners solidify unfamiliar and/or complex concepts by delving into the "why" and not just the "how" of approaching mathematical questions. Mathematics Illuminated explores many of the great historical figures in mathematics and the problems they confronted; it also introduces you to some of the fascinating people who are embracing and studying today's emerging questions. 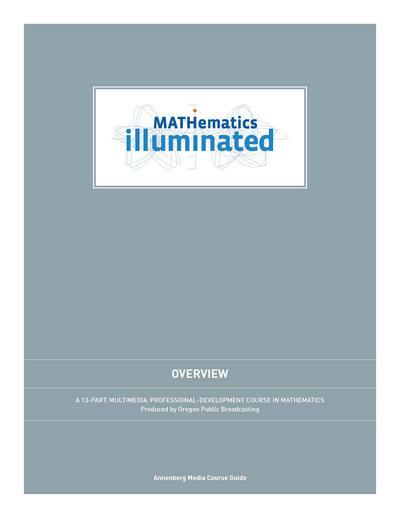 Mathematics Illuminated provides an overview of how the content of the course connects and supports national and local standards in mathematics. Using these materials, teachers can simultaneously build content knowledge and explore and engage with new mathematical applications. 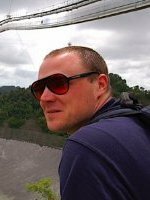 MacGregor Campbell is an animator at Oregon Public Broadcasting and freelance writer/producer based in Portland, Oregon. After obtaining a B.S, in Physics from Duke University, he went on to teach middle school math in the Los Angeles inner-city as part of Teach for America. He has written curricula for the Compton Unified School District and for UCSD in La Jolla, California.